BCAP Tobys Fossil is Negative 5-panel. 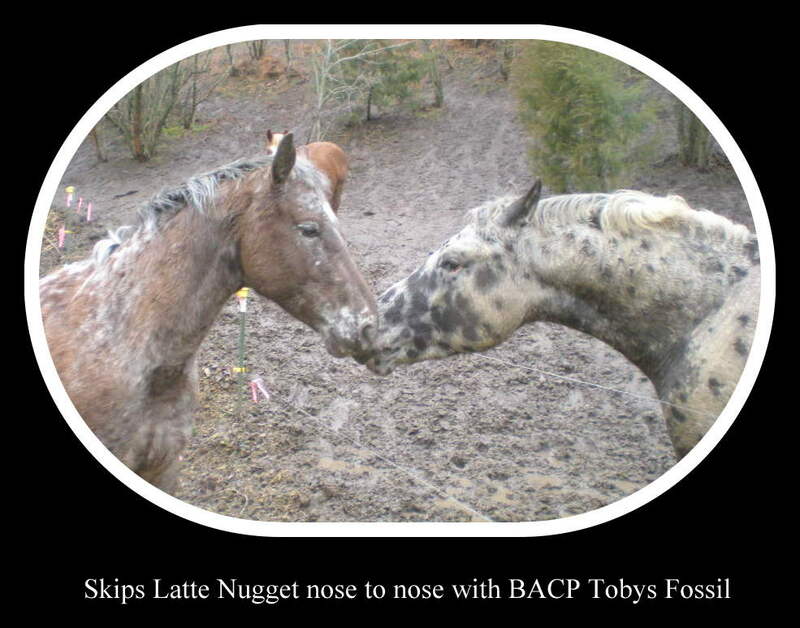 BCAP Tobys Fossil or "Fossil" for short, our reference stallion, is now standing at Desert Spirit Appaloosas in Powell Butte, Oregon. Get in touch with DSA for some outstanding stud service. DSA's website is in our links section. Fossil was Sundance International's Foal of the Year in 2009! 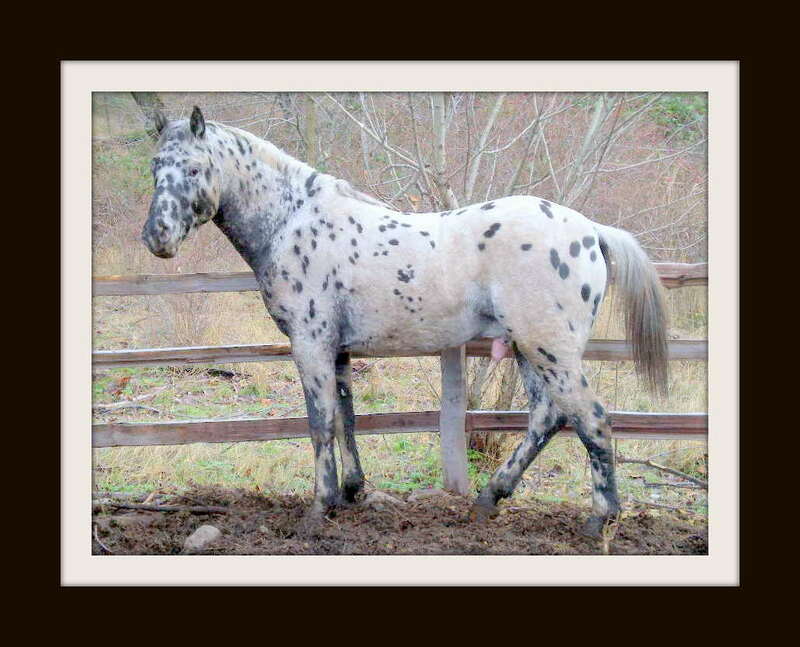 A near leopard 100% FPD, Fossil is by Ulrichs Cheyenne 458276 out of War Starnight 611854. There are at least eighteen leopard horses on his sire's side alone, plus horses of the caliber of Leo, Joe Reed, Traveler, Red Eagle, Knobby, and the Painters. On his dam's side many more leopards and Money Creek's Rockledge, Chief Navajo, Siri Sheik, Sundance 500, and the Tobys I, II, and III! All ten of Fossil's foals to date are healthy, strong, athletic, and obviously recognizable as colorful Appaloosas: three lepards, five black foals with white blankets and spots, and two snowcaps. They are what we strive for here at BCA: color, conformation, disposition. Fossil has great legs and feet, is already 15.3 and has the sweet temperment associated with great Appaloosas. Fossil has been started under saddle and performs like a champion. Here at Blue Creek three of our mares, SHA Patchobys Design, DREA Patchyrainwater, and DREA Imnaha Ladyhawk, delivered 2012 fillies by Fossil, all GAP 5s, all gorgeous. 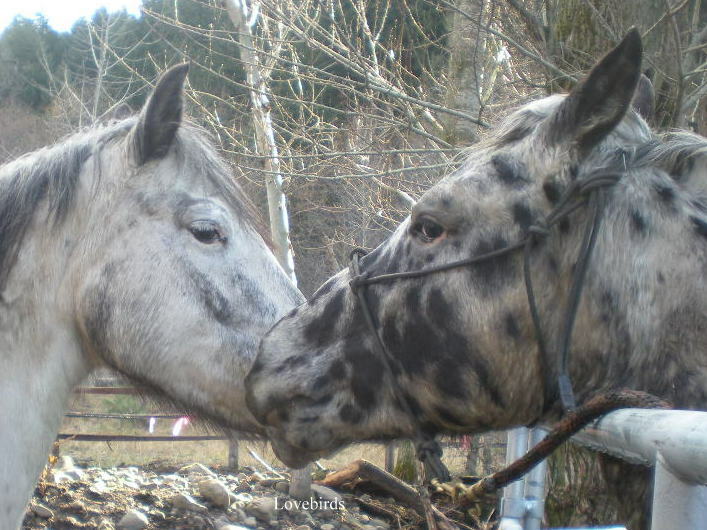 See them on the "2012 Foals" page. The mares delivered three more GAP 5 foals in 2013, two colts, a leopard from Desi, BCA Tofoz Kagoshima, a blanketed stud from Patchy, BCA Tofoz Chatanga, plus a to die for filly from Hawk, BCA Tofoz Dublspring. In 2014, DREA Patchyrainwater gave birth to a filly, BCA Tofoz Padopani, Frosty Nugget Patch gave birth to a filly, BCA Tofoz Tiburon, and DREA Imnaha Blksundy, gave birth to a great little snowcap colt, BCA Tofoz Dubleagle.